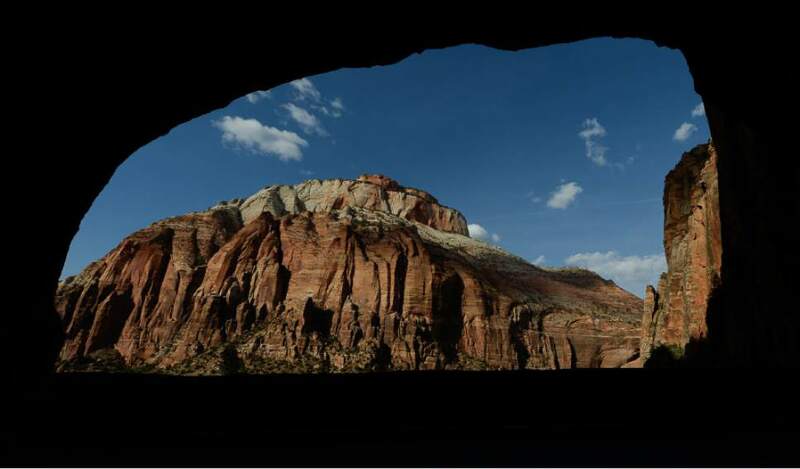 Franciso Kjolseth | The Salt Lake Tribune Glimpses of the scenic famed walls of Zion National Park flash by motorists as they travel through the mile long tunnel along the Zion-Mount Carmel Highway. Utah&apos;s Zion ranked high a recent survey on the most popular national parks by influencer marketing company Experticity. Zion finished in the top four along with Glacier, Yellowstone and Hawaii&apos;s Haleakala. Glacier won the competition. "It was hard to decide among so many amazing places, but I think that Glacier National Park won because of its scenery," said Matt Gray, outdoor and shooting sports expert for Experticity. "It is one of the most photogenic parks due to the beautiful mountains and lakes that were formed by the glaciers. I&apos;d argue that it makes possibly the best scenery out of all the parks." He said Yellowstone was the first national park and offers unique geysers and hot springs. Zion offers amazing red cliffs. And Haleakala has unique flora and fauna. "When people are visiting the national parks, they are there to get away from the daily grind and get lost in nature and view the beautiful landscapes and vistas," said Gray. "Being spread all over the country, the parks are accessible and affordable to everyone. Each park also has something to offer for every personality including adrenaline junkies, hikers, photographers, fishers and those who love to camp." Experticity polled more than 3,500 outdoor experts and enthusiasts across the country to vote on the favorite park.